I want to thank you for being the example for me that you were. You were a loving husband, a wonderful father, a proud grandfather, and a devoted servant of the Lord Jesus Christ. Friday morning it was clear that you were soon to leave us for that long-anticipated journey called “eternity with God”. You challenged me that morning, and not only me, but also Chip, and then my son, Wes Jr. You knew you were dying, and you were ready to go. You called all the shots that day – your last day. You made all the decisions, and you departed this life with dignity, love, and devotion. Friday was 40 days since you had last been at home. You had entered the hospital on Father’s Day, June 21st. That was also the Lord’s Day. It was also your brother Kenneth’s birthday. 40 days… you fought, you struggled, you led, you followed, you cried, you laughed… you lived and loved throughout those final 40 days. You made sure that Chip and I would take care of mom. You told us you were proud of us. You told us how much you thanked God for your daughters-in-law, Jully and Ginna. You told us how much you loved your grandchildren, Morgan, Wes Jr, and Kaity. During those final weeks you constantly told us, and anyone who would listen, that you wanted to honor the Lord Jesus Christ no matter what happened. Dad, you did just that. You finished strong. Just as Caleb was described no less than six times in the Old Testament as one who “wholly followed the Lord”, you too wholly followed the Lord to your final breath. As Caleb claimed the promises of God at age 85, promises that the Lord had given him 45 years prior, you too claimed the promises of God to the end of your life. You desired to finish strong, and with the Lord’s strength, you did just that. Mark chapter 4 recounts the story where the Lord Jesus went with the disciples in the boat to other side of the lake. That story reminds us during the sudden storms of life when all hope is gone, that is when God’s glory is on display. During those 40 days, day 19 was the day in which all hope was lost. There was nothing that man could do. You were not expected to live more than 3 or 4 days, perhaps a week or so beyond then. And yet somehow, you wound up going to a rehab center after 33 days at the hospital. The last two weeks we had with you was a miraculous gift from God. It was far greater than any best-case scenario we were given on July 10. And yet, we had 21 more days with you. It was a gift from the God of Abraham, Isaac, and Jacob. From the God of Daniel. And the God of Shadrach, Meshack, and Abed-nego. The God of Moses, and Adam, and Paul. The God of Joshua and Caleb. The God of Frank Patterson. The God of Wes Patterson. I told you Friday morning that you were just like Caleb. And I thanked you for being that kind of father to me, that kind of grandfather to my son, that kind of husband to my mother, that kind of servant to our Saviour, the Lord Jesus Christ. You never wanted to be in the light. You wanted to point others to the light, the one true light – the Lord Jesus Christ. He is that light, and you reflected that light of God on everyone around you. Thank you for honoring our Saviour in this way. Thank you for teaching me to look to the Lord and not to man. Man will fail us, and we will fail our fellow man. But Christ will never fail us nor forsake us. You lived what you preached. You taught me that words never matter unless your life backs them up. You lived your faith. You claimed the promises of God throughout your life. You have taught so many brothers and sisters in the Lord to study the Scriptures and to follow Christ and to step up and do the same to others. You lived the Paul and Timothy principle – to teach others how to go and train others to teach. It was never about you, but always about the Lord Jesus Christ. 40 years ago you and mom made your first trip to a foreign country in service to the Lord. Seven weeks in Brazil, summer of 1975. The subsequent impact you have had on students of the Word reaches so far that we can’t even begin to fathom. Of course, it was never your ability. It was your availability. You were available to be used by the Lord. Brazil, Bangladesh (for 14 years) , Colombia, at least two trips to Myanmar (formerly Burma), at least two trips to Ukraine, three times to India, and the last trip was to northern Iraq in 2008 during a war, at age 67. And we cannot forget the North Carolina communities of Winston-Salem, King, and Lexington. Dad, your yearning has been transformed to reality! And I could not be any happier for you than I am at this time. Yes, I miss you greatly. But I know that I will see you again one day. And as you taught me throughout my entire life, I know the first one I shall see in that coming day will be the Lord Jesus Christ. Everything in Scripture points to Christ. Thank you, Dad, for living your life with the same objective. I am so thrilled for you, Dad. I’ll see you soon!!! The greatest lesson my father ever showed me was that of team work. His partner and the love of his life, my mother, was a testament to how God established the family and the importance it was to be given. Their true love and commitment to one another stayed the test of time and circumstance, as they lived out their lives together. He and mom lived a dedicated life to God first and then to one another that was so seamless that we never remember when they weren't together or in agreement on anything. Quitting was not in their vocabulary and commitment to remain faithful to their God and one another was their consistent standard. For that testimony of the team mom and dad made I will be forever grateful. "Real growth is often experienced through great personal trial and sacrifice." "Nothing in life that is worth having will come easy, so don't expect it to." "Ultimately, if you commit to a task work as hard as you can to complete it as unto the Lord for He will judge the results of your effort and the motivation of your heart in the end regardless of how things turned out." "God will always be with us, if we are actively abiding in Him." Dad would remind us that it is God's truth that lights our way, sets us free from our chains and shows us how to live and for Whom to live. All we have to do is accept God's offer. However, we will never truly appreciate nor understand what that truth means without study, so study, study and study some more. It is through the diligent focus of God's word in our lives that we understand what He expects of us and tells us what we can expect from Him. It is only in this manner that our lives are approved for His service. "Whether therefore ye eat, or drink, or whatsoever ye do, do all to the glory of God." With this mindset as his focus everything else fell into place, no matter what it was. This unfailing standard was what drove dad to go and do all that he did during his life. While in the hospital and shortly before he had the tube inserted into his throat he said to mom and I one day that he believed God had brought him there because this was now his mission field. He was just as clear on his purpose then as he was until he was promoted home. We often witnessed how during his hospital stay in the first 33 days dad spoke to every doctor, nurse, counselor, case worker and housekeeper who came by or into his room and he always asked them of their spiritual condition. Then he would share what God had done for him during his life. As a result we estimate that he had spoken to at least 100 people during his month stay and 10 of those days he couldn't talk at all. So clear was his focus and love for the Lord and His call that he couldn't keep quiet. What a joy and privilege it is to call Frank Patterson my father and my hero! Francis Oliver “Frank” Patterson, Sr. passed into the waiting arms of His Lord and Saviour Jesus Christ on July 31, 2015. Frank was born June 25, 1940, in Blairsville, Union County, Georgia, the fourth child of Wilma Lee Stephens and Clinton Willie Patterson. Raised on a farm in the north Georgia mountains, Frank moved with his family at age 10 to High Point, NC. He was a graduate of High Point Central High School, Class of ’59. At age 16, Frank recognized his need to place his trust in the Lord Jesus Christ as his one and only means of salvation. The desire to please his Saviour would become the major driving force in his life. He joined the US Air Force in April, 1960, and was discharged in January, 1964 having served in Brunswick, Maine and then later Seymour Johnson AFB in Goldsboro, NC. He met the love of his life in 1961 when visiting his father in the hospital in High Point, NC. Vanza Davis was his father’s nurse, but a year later would become his bride, on June 1st, 1962. Frank and Vanza were married in Trinity, NC, around the time of his transfer to Seymour Johnson AFB. They had two sons, the eldest being Francis O. Patterson Jr (Chip) was born on May 27, 1963 in Goldsboro, NC. The younger was Charles Wesley Patterson (Wes), born February 5, 1968 in Decatur, GA, a suburb of Atlanta. Frank’s early career endeavors involved insurance sales, and furniture sales. However, in 1971, Frank and Vanza moved the family from Tucker, Ga to Winston-Salem, NC for him to attend Piedmont Bible College. Their hearts’ desire was to serve the Lord in any capacity, and eventually this led them to become missionaries on foreign fields. Frank spent a few weeks in Israel during the early ‘70’s with a team from Piedmont Bible College. In the summer of 1975, he and Vanza spent seven weeks in Brazil, believing that was where the Lord was leading them to serve full time. Frank graduated from Piedmont in 1976, and the family moved back to Decatur, Ga. In 1979, the family moved to the southeast Asian country of Bangladesh, arriving there on the 4th of July. He was involved predominantly in the government liaison work in those early years, but was also very involved in teaching and discipling young believers. By the mid ‘80’s he oversaw the planning, development and opening of a hospital in the northwestern part of the country near the town of Natore, Bangladesh. That hospital continues to thrive to this day. Frank and Vanza retired from service there in 1993, but continued working in local churches and colleges as the Lord opened doors. 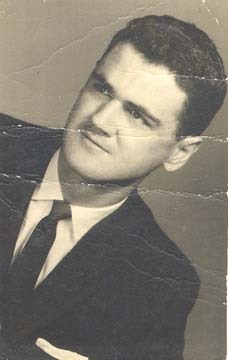 Occasionally, Frank made trips for months at a time to foreign countries to teach in Bible colleges, as his heart’s desire was to train young believers to study the Bible and continue the work in their own lands among their own people, as he believed the work was always greater than himself, and should be able to continue without him. Countries that Frank invested himself personally into the lives of men and women for that very purpose, include Myanmar (formerly Burma), Ukraine, India, Iraq (in 2008), and Colombia. The first three of those included multiple stints of service, all of which were three to four months at a time. Frank loved to teach, and he loved to learn, and he did both to his dying days. He received two masters degrees, and his doctorate (DMin) from Liberty University, the latter of which occurred in 2005 at the age of 65. He also served as the Alumni Coordinator of Piedmont Bible College, as well as several years of teaching at Calvary Baptist Bible College & Seminary in King, NC. He developed curricula for many purposes, most of which involved courses for use in churches and colleges. For many years he served the elderly saints in the several churches in which he and Vanza attended. Frank loved his family more than life. He always made over his grandchildren especially. Frank is survived by his bride and the love of his life Vanza, two sons Francis Oliver Patterson, Jr. “Chip” and wife Jully, Lynchburg, Va., and Charles Wesley Patterson, Sr. “Wes” and wife Ginna, Winston-Salem, NC; three grandchildren, Morgan Muszall and husband Shane, Wes Patterson Jr., and Kaity McCormick and husband Jayme; one sister Jean Kilstrom, Grayson, Ga.; one brother Derral Patterson and wife Frankie, Loganville, Ga.; one special nephew George Lee Davis Jr., Lexington, NC, and numerous nieces and nephews. In addition to his parents, he was predeceased by two brothers, Baxley and Kenneth. The funeral will be held at Salem Baptist Church, 429 South Broad Street, Winston-Salem, NC, on Monday, August 3rd at 2:00 PM, with visitation prior to the service from noon to 2:00. Burial will be at Forsyth Memorial Park following the service. In lieu of flowers, memorials may be sent to the Kate B. Reynolds Hospice Home, 101 Hospice Ln, Winston-Salem, NC 27103. When Was John Patterson Actually Born? John Patterson married Margaret "Peggy" Black in the 1780's in South Carolina, somewhere in Camden District, apparently. According to the 1850 Union Co., GA census, Margaret was listed as 83 years old that year, which would give her a birth year of 1766/67. I have pretty much always listed her as circa 1767. In the 1980's when I began researching my family tree for the first time, info that I typically saw at the time listed John as born ca. 1767 as well. After I began to look closer at the census records, however, it became clear to me that he must have been born closer to 1765 than 1767. Not knowing, at the time, who his parents were, let alone when they were married, anything prior to 1765 was like spitting in the ocean. So I've always run with ca. 1765 for this John Patterson. Recently I was working through a five-part series on a Robert Patterson whom I believe to have been a younger son brother of this John. In the process of writing, documenting, reviewing, revising, etc., I tripped over this question of John's birth year once again. The Patterson-Ferrell Connection to the Robert Patterson Family of York Co., SC - The DNA Proof! As I stated in Part 1 of this series, I mentioned that by the time I got to Part 5, the case would have been made for connecting these families of Bedford/Warren/Cannon Counties, TN to the Robert Patterson who died in 1775 in York Co., SC. I hoped to establish those links in Parts 2-4 using traditional methods of research, involving deeds, wills, court records, church records, migration patterns, etc. I hope I have been successful in doing so. I believe I have. In Part 5, however, I want to close the circle on this discussion by bringing us back to the DNA evidence that initiated this entire research effort to begin with. John W. Patterson had his DNA tested in 2014. He descends from Lee Patterson, as we discussed in Part 2. 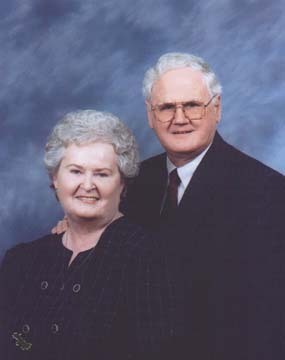 Lee was a son of John Patterson and Ann Ferrell. I believe that John Patterson, in turn, was the son of Robert and Elizabeth Patterson who lived in Buncombe Co., NC between 1795 and 1810. This Robert was the son of Thomas Patterson and Margaret Harrison. Thomas Patterson was the son of Robert and Sarah Patterson, this latter Robert being the one who was born ca. 1705/11 and died in 1775 in York Co., SC. Let it be known... I know enough about DNA evidence to be dangerous! That said, I can extrapolate a few things that I hope make sense. In Part 3 I covered several aspects of Robert Patterson in Buncombe Co., NC between 1800 and 1810. In those records one can see several Pattersons and the related families and neighbors around them. But there were several Pattersons on the West side of the French Broad River, but not all were sons of Thomas Patterson, apparently. In this post I hope to show more evidence that ties Robert Patterson of Turkey Creek (Buncombe) to John Patterson of Jenkins Branch, and therefore to Thomas Patterson of Jenkins Branch. Various Patterson males are identified in various records in Buncombe from 1800 to 1820, in the Jenkins Branch/Sandy Mush/Newfound/Turkey Creek section near Alexander, NC. This is about 8 or 10 miles NW of Asheville, and on the west side of the river. These records include census, deed, and church records for the most part. Names seen include Thomas, John, John Sr, John Jr, Robert, Alexander, Andrew, James, and Joseph. Again, I am only focusing on the part of Buncombe in the region previously described. So who were all of these Pattersons? Before I discuss the Pattersons and Ferrells of Bedford, Warren, Cannon and Dekalb Counties, TN, let's take a step back and look at a Patterson couple that could have been the parents of John Patterson that married Ann Ferrell. The couple in question were named Robert and Elizabeth Patterson. Robert Patterson was born between 1766 and 1774, based on census records (1800 & 1810 Buncombe Co., NC). However, he was most likely born closer to 1766/8. Circumstantial evidence indicates that Robert was a son of Thomas Patterson, who was born ca. 1736/40 in the Shenandoah Valley of Va in what is now Harrisonburg, Va. It was Augusta Co. at the time, but now Rockingham Co. Thomas was a son of Robert and Sarah Patterson, who died in 1775 and 1790, respectively, both in York Co., SC. This latter Robert was born ca. 1705/11 to William and Margaret Patterson. John W. Patterson had his DNA tested in 2014. John's Patterson ancestors are from TN going back several generations. When John's DNA results matched several Pattersons who descend from Robert Patterson who died in 1775 in York Co., SC, with a fairly close genetic distance, it caught the attention of Harald Reksten, and then also this writer, Wes Patterson (as I mentioned in Part 1 of this series). The DNA evidence confirms a relation, but the real question is, Where do the lines join? Who is our common ancestor? It's easy enough for Harald and Wes to answer that question where their own relation is concerned. Their most recent common ancestor WAS Robert Patterson who died in 1775. Harald descends from Robert's son, Robert, who married Mabel Ponder. Wes descends from Robert's son, Thomas, who married Margaret Harrison. But how does the afore-mentioned tester, John W. Patterson, connect to Harald and Wes? Let's start with what we DO know. John says his line is confirmed all the way back a man named Lee Patterson, who was born in February 1826, somewhere in the state of Tennessee. Lee married on 11-21-1847, in Dekalb Co., TN, to Mary "Polly" Davis. According to John, his ancestor Lee Patterson died on 12-31-1862, in Murfreesboro, Rutherford Co., TN, during the Civil War. This post is Part 1 in a series of posts that will establish the connection between the Patterson-Ferrell marriage (and their descendants), to the Robert Patterson family of York Co, SC. DNA evidence established in 2014 that there is a definite connection. Now the burden of proof lies on us researchers to show on paper, precisely HOW they connect. I will be presenting evidence over the next few posts that make a case for the John Patterson who married Ann Ferrell, to have been a son of Robert and Elizabeth Patterson of Buncombe Co., NC, who lived there along Turkey Creek between 1805 and 1810. The latter Robert Patterson is believed to have been a brother of John Patterson (b. 1762/5) that married Margaret "Peggy" Black. These brothers were sons of Thomas Patterson (and Margaret Harrison), and therefore grandsons of Robert Patterson, who died in 1775 in York Co., SC. Both of these brothers attended Newfound Baptist Church in Buncombe, both were deacons, and both were listed in the church minutes on numerous occasions. The evidence that I will be sharing has been gathered by various individuals, such as Harald Reksten, myself (Wes Patterson), John Patterson (the dna match who is a descendant of the Patterson-Ferrell marriage), and general, publicly-available records. Present the lineage of the DNA tester back to his proven ancestor, Lee Patterson. Of course, I will not spell out all the details of living persons here. I just mean I will show the proven ancestors of the dna tester, which goes back to said Lee Patterson. Present the connection from Lee Patterson to John and Ann Ferrell Patterson. Present evidence that links the families of central Tennessee, where the Pattersons and Ferrells settled, to the families of Buncombe and Burke Co., NC in general, and to Robert and Elizabeth Patterson specifically, where possible. Present evidence that links this latter Robert Patterson to Thomas Patterson and his son John Patterson (my ancestor), and therefore to the Robert and Sarah Patterson clan from York Co., SC. Present the DNA evidence that links the Patterson-Ferrell branch not only to Robert Patterson of York Co, SC, but most closely to those tested who descend from George Patterson (b. 1800), son of John and Margaret Black Patterson. In other words, this Patterson-Ferrell branch match more closely, dna-wise, to the Thomas Patterson branch of the York Co, SC families, than the Peter Patterson branch or the Robert Patterson II branch. There is a lot of information to sift through, organize, and present. So I'll be taking my time in order to present the data clearly. Bear with me as I work through this. Those of us who descend from John Patterson and Margaret Black know that John's father was Thomas Patterson. Several years ago, Harald Reksten found a book that had published some time back that dealt with various church records from the Shenandoah Valley of VA in the mid 1700's. In that book, it showed that our Thomas Patterson married in 1761, but the ink was very faded when this author looked over the original records. According to him, he thought the bride was Margaret Harrison. Harald has viewed the microfilm of this, again a few years ago, and that part of the page where Thomas Patterson's marriage record was recorded, the ink was too faded to even show up on the microfilm. Harald tracked down where the Presbyterian Church Archives are now stored. It had moved a few times over recent years. Currently they are stored at Columbia Theological Seminary in Decatur, GA, which happens to be where I was born. Not the seminary, of course..... but Decatur, Ga.
All of the Patterson records are spelled Peterson, and all of the Cravens records are spelled Crevens, by the way. Wes Patterson, g-g-g-g-g-grandson of Thomas Patterson and Margaret ?Harrison. I consider today's visit to the Presbyterian Church Archives in Decatur, Ga a total success. I was not expecting to see anything in that lower right corner of the list of marriages from 1761. But I was very pleasantly surprised. At first, I had to find it on the microfilm (their requirements). Even there, I could see a faint record of it, more so than on past digital images of the microfilm record. But once I was able to view the original book that contained the records, there was absolutely no doubt in my mind that Thomas Patterson married Margaret Harrison. It's evident there are 8 letters in the last name, so it wasn't a Harris or Herron or Herring, or some other "H" name that was common in Augusta Co VA at that time. A few nights ago I did some analysis on the Pattersons and their neighbors in Sussex Co., DE during the 1730's and later. Based on the deeds, court records, wills, etc, and based on the names of the creeks/water ways, there were some interesting details that I found. One key detail that jumped out at me in the end, something I had never picked up on before, is that any reference you see for "Cypress Branch" of Broadkill, and any reference for "Pembers/Pemberton Branch" of Broadkill -- they're one and the same. The details of the transactions over time bear that fact out. So, the Broadkill flows from west to east through Milton, and to the coast. There are several branches of importance to us that flow into the Broadkill. Farthest to the west and flowing east or NE or north into the Broadkill, is Pemberton Branch aka Cypress Branch. The next branch to the east is on modern maps as Ingram Branch, but that is what is called in the old deeds Long Bridge Branch, and formerly known as Southwest Branch. It flows north or NE into Broadkill. Next to the east is Round Pole Branch and it also flows N/NE into the Broadkill. Next to the east is Beaverdam or Bright's Beaverdam Creek/Branch. Likewise, it flows N/NE into the Broadkill. Others to the near east are Mill Branch and Cold Spring Branch. 1740 - Daniel Harrison to George Campbell, etc. Regarding the William Burton deed in 1727 with Margaret Addams as a witness... I'm still not convinced this was our Margaret Adams, but given the proximity of William Burton to John Harrison, it causes me to re-think this possibility. Jones, John. Bought 137 acres of larger tract Hopewell in SXDE by 2 Dec. 1729 from Cornelius Wiltbanck, adj. Bryant Roles/Rowls, on SW of land John Harrison (who bought part of Hopewell), N. side of Broadkiln Ck. [ment in SX Deed F:341]; agreement to buy dated 31 Jan 1731/2 [SX Deed F:421-422].Land of John Jones in Oct 1737 bounded the SW side of 135a of John Harrison, cordwinder and yeoman sold to John Sullivan [Syllovan, Sullevant], planter, of Dorchester Co. MD on the N. side of Broad Ck. ; bounded in the NE by land formerly John Dunnovan’s, bought by Edward Naws. This is the land sold to John Harrison by Abraham Wiltbank [SX deed G:230-231]. John Sylavan of SX sold the 135 acres 11 June 1742 to Nathaniel Naws, planter of SX, adj. Edward Naws’ land; on N. side of Broad Kill (Broad Creek) [SX deed H:11]. So this shows that John Jones bought land from Wiltbank in 1729, that was adj. Bryan Rowles, and also adj. John Harrison, on the SW side of Harrison, and it was all on the N. Side of Broadkill Creek. We already know that John Harrison had bought his land on the N. Side of Broad Creek the same year, 1729. We also already know that William Burton had bought his land on the N. Side of Broadkill in 1727, wit: by Margret Addams. But more importantly, this land of Burton's was also adj. Bryan Rowles, just like John Harrison would be in a couple years. So then it makes sense that when John Harrison sold his land in 1737, that William Burton was a witness. This proves to me that these tracts are in the same area, and that Rowles, Harrison and Burton were neighbors. So who was this Margaret Addams in 1727?